One of my intentions for 2012 was to get involved in doing some crafting for charity/craftivism and on Saturday I had the chance to do just that. My local craft studio, the Create Place, ran a session making dresses for a charity organisation called Dress A Girl Around the World. 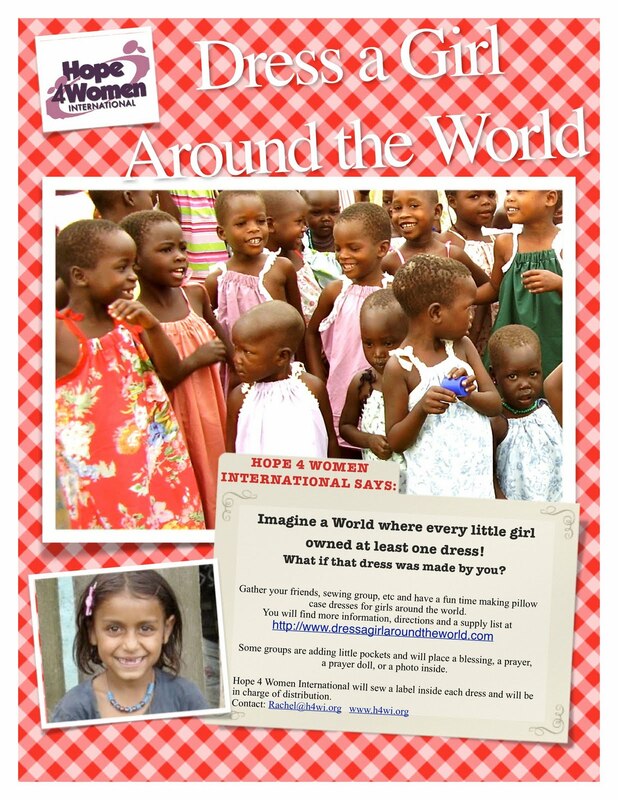 This is a fab project which sends dresses to girls in the developing world who wouldn't usually have a new dress of their own. The dresses are simple to make using just a pillowcase and some trimmings (with patterns provided on the website) but look very cute and pretty. Our sewing gurus Jennie and Lisa were on hand to help us if we got stuck and provide refreshments as we sweated over our machines! We had lots of fun sewing and chatting and embellishing but most importantly we made a stack of dresses to send of to girls in the developing world. And another one in such loud material that I didn't think it needed any embellishment!! I wish I'd taken more pictures of the dresses everyone else made but I was so wrapped up in my sewing I forgot until it was too late! By the time I took my pictures the light wasn't too great either! Jennie's blog has more pics. I had a brilliant afternoon, made all the better by knowing that I was doing something worthwhile. I am definitely looking forward to getting involved in more projects like this. PS. If you want to get involved in this project then a lady called Louise Horler is the UK coordinator. Her blog is here and the facebook page is here. That's a great idea to get involved in crafting for charity and the dresses are brilliant, what a great cause. Will check out the link too.